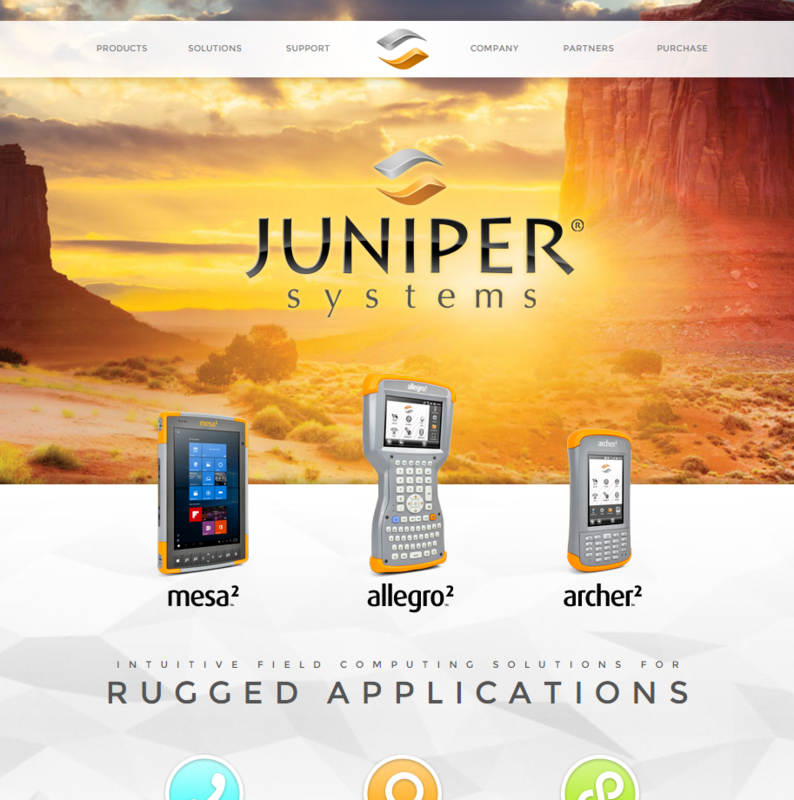 Juniper Systems is excited to announce the launch of its new and improved website www.junipersys.com. With an updated responsive design, our new site is devoted to improving customer and partner experience by providing quick access to information on products, company news, customer support, and partner opportunities. With its new navigational design, visitors can easily scroll through product information and download specification sheets. While designing this site, we kept our efforts customer-focused in hopes that the new site would enhance user experience and make getting to know Juniper and learning more about our products a breeze. As a company dedicated to providing quality rugged solutions to a variety of industries, individual pages on the website can be found for natural resources, agriculture, geomatics, utilities and public works, and industrial markets, with information detailing how our products fit into the corresponding market. We’ve also added a media resources section for partners that will be constantly updated with new photography, literature, and logos. This helps us as we strive for our goal to improve partner experience. We want to make sure all necessary resources are readily available for our valued partners, and we will always be here to provide any additional information as needed. In addition to improving customer and partner experience, we wanted to create a section devoted to helping visitors get familiar with the Juniper Systems family. We’ve included information on why we do what we do, how it all started, and what our mission is as a company. It’s our hope that this section will paint a picture of the values Juniper Systems holds and how much we sincerely care about providing quality products to our hard-working customers.